John Veres from Wilsonville Community Outreach accepted an “Investing in Illinois Award” from AT&T, as a result of their nomination from State Representative Avery Bourne (R-Raymond). The award was presented to the organization by Chris Warwick, external affairs manager for the company. 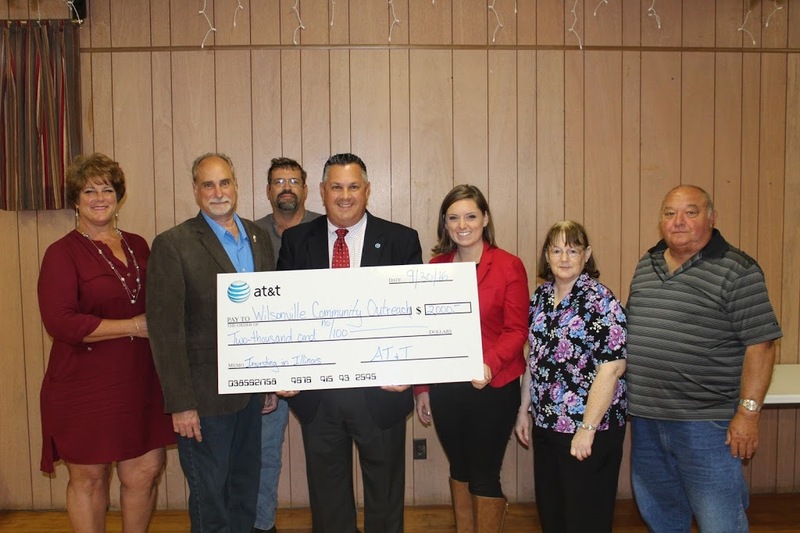 Wilsonville Community Outreach, a non-profit organization, will receive $2,000 from AT&T to be used to support its privately funded Summer Lunch Program. The program feeds children in Wilsonville and the surrounding area during the school summer recess.